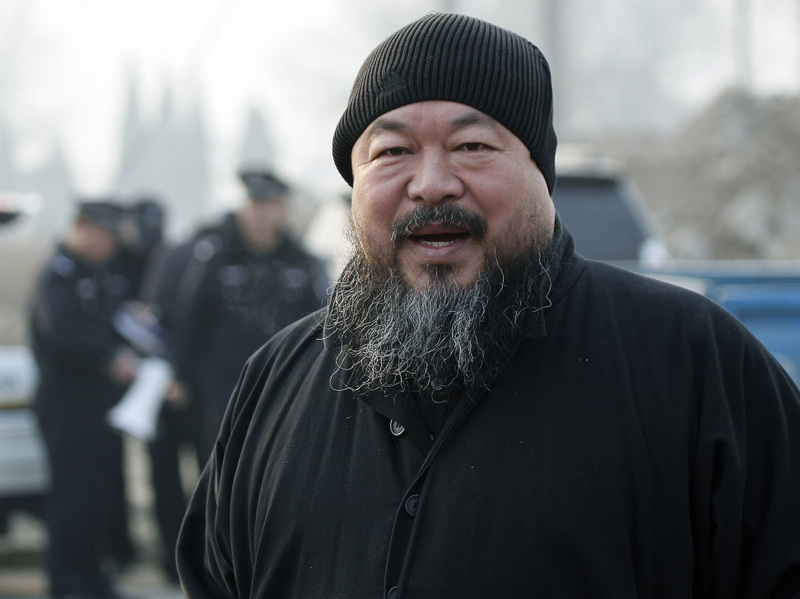 China Detains Dissident Artist Ai Weiwei Chinese authorities detained China's most famous artist at the airport on Sunday as he was trying to leave the country. Ai Weiwei, who designed the iconic Bird's Nest stadium built for the Beijing Olympics, has been a frequent critic of the government. As China presses on with its harshest crackdown in years, one of its most famous artists has been blocked from leaving the country. Artist Ai Weiwei is best-known for helping design Beijing's Olympic stadium, known as the Birds Nest. He was taken into detention at Beijing airport yesterday morning, as he tried to travel to Hong Kong – and onto to Taipei - and has not been heard from since, the highest profile victim yet of Beijing's latest clampdown. Ai Weiwei's fans consider him a god – they even call him "Ai God". He's called himself "a brand for liberal thinking and individualism". His art has long been overtly political. But after the 2008 Sichuan earthquake, it took on a new urgency. He organized a campaign listing the names of students who died when shoddy schools collapsed. On one of his many trips to the quake zone, he was badly beaten by police in the Sichuan capital, Chengdu, causing a head injury, which later required brain surgery in Germany. Ai is driven by a mission. His friend, owner of the Pekin art gallery Meg Maggio describes it as "giving a voice to the voiceless." "He videoshoots everyone, he twitters about everything, so he's trying to build a modern day history of what he sees as social injustice," says Maggio. Building that history of social injustice was always going to put him on a collision course with the authorities. Back in November, as victims of injustice sang their grievances, he appeared outside the courtroom at the trial of fellow artist Wu Yuren to bear witness. His portly figure with his flowing salt-and-pepper beard make him easily identifiable. He admitted he'd already been warned about his behavior by police, "The actual words are that they're really deeply worried, and they think what I'm doing is very dangerous. I don't think it's a threat. I think it's a frustration; they don't know how to deal with things, they don't know how to communicate. Also it's beyond their control." Since then, the authorities in Shanghai demolished Ai Weiwei's newly-built studio, while he was confined to his Beijing house. In a typical gesture merging politics and art, Ai used twitter to organize a demolition party from afar. River crab was served – a dish laced with political satire, since the Chinese words for river crab hexie sound the same as the government's favorite slogan: "harmonious society" or hexie. Ai's a prolific tweeter – including tweeting the three occasions last week police visited his Beijing studio, complete with photos. Yesterday, police raided his studio, confiscating his computers, and detaining his assistants and relatives. All have since been released, except for one key aide Wen Tao. But, according to documentary filmmaker Alison Klayman, who's been shooting a documentary about the artist, Ai Weiwei has lived for a long time with the knowledge that this day might come. This crackdown follows online calls for a Jasmine uprising in China, inspired by events in the Middle East. The authorities have responded to this by swamping the sites designated for protest with security forces. Since those calls started, human rights groups say around forty Chinese activists have been swept up: some detained under criminal charges; others simply disappeared with scant regard for due process. "What we are seeing now is an attempt by the government to roll back the idea of universal values," says Human Rights Watch's Nicholas Bequelin. "More than the periodic crackdown that we've been witnessing in China for the past twenty years, this one is more fundamental. It's a readjustment between the real nature of the regime – a one-party state – and the reality of Chinese society, which has developed many fields where expression is out of the control of the state." Many believed Ai's worldwide fame – and his status as the son of one of China's finest modern poets – would protect him. But the longer Ai Weiwei is in custody, the clearer the message is: activism has a price, and no one is insulated any more.